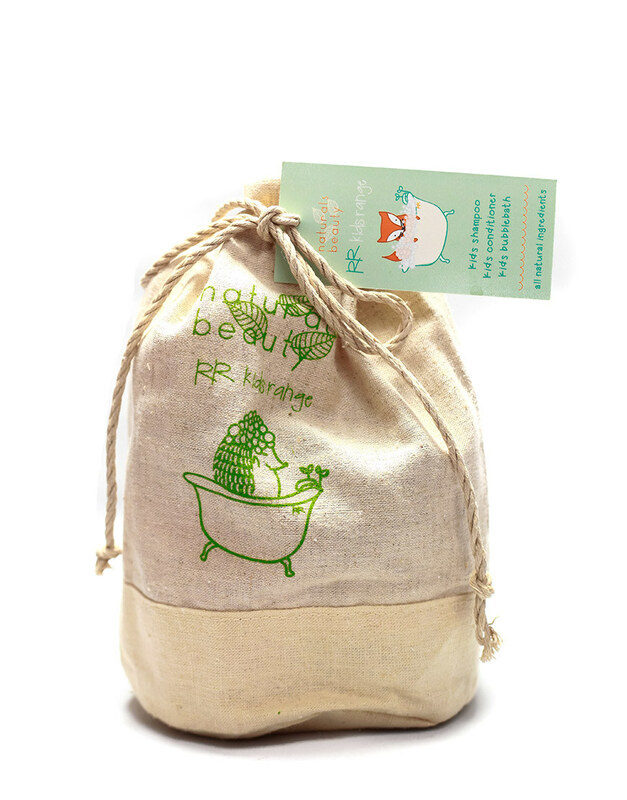 Spoil a special little someone with this beautiful 3-piece kids’ gift set all wrapped up in a reusable Hemp bag. 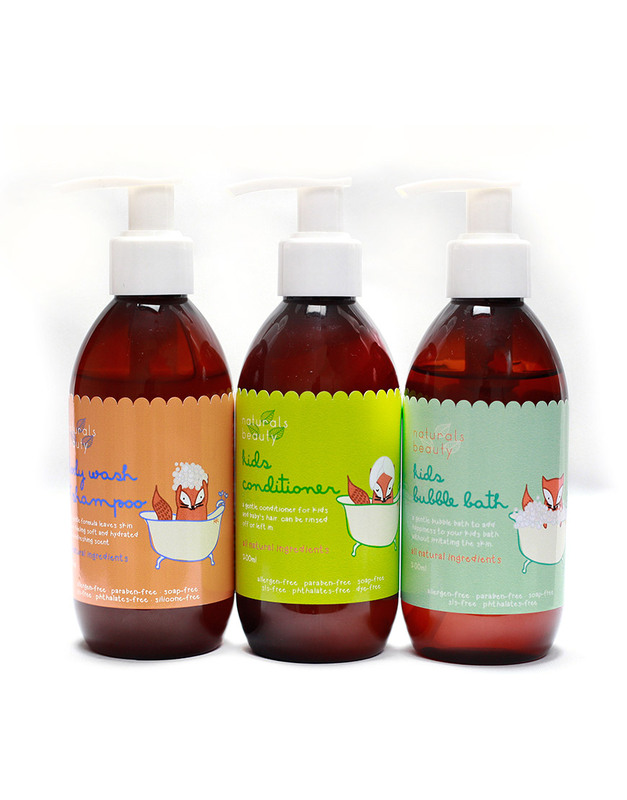 This is the perfect bath-time companion kit, with a 200ml lightly foaming shampoo, a 200ml nourishing conditioner plus a 200ml fun, skin-friendly bubble bath. 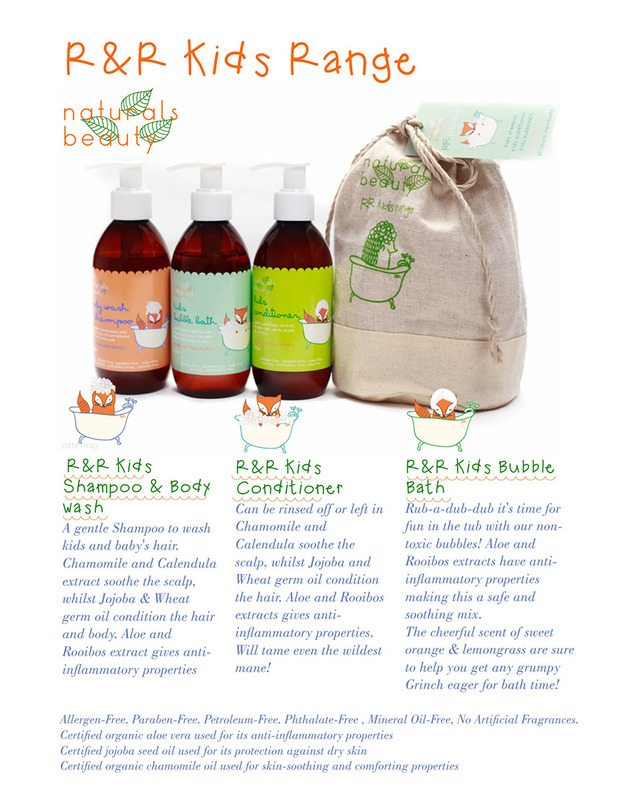 Kids will love the feeling and fragrance of these natural bath goodies, made with botanicals like calendula, aloe, chamomile and rooibos.